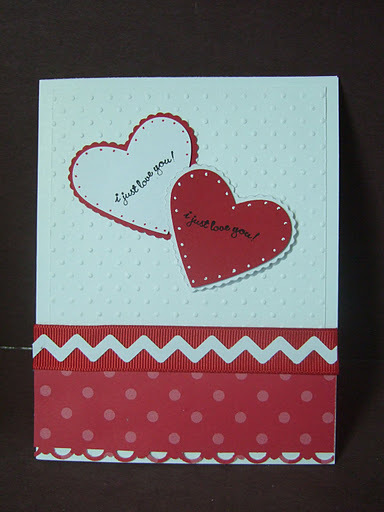 Thank you so much to all of you who participated in last month’s challenge to make love/valentine cards – WOW! Beautiful works of art! If you want to have a mini-hop this weekend to get your mojo kicked into gear, go check out all the cards in InLinkz – and leave some love for each other. If you like to get comments — you know everyone else does too! The 2 winners of the ODBD November challenge, drawn by random.org, made some really beautiful love cards….ladies, email sandy@operationwritehome.org and I’ll hook you up with your prizes! Everyone else, be sure to click on their blog links and leave them some congrats! PLUS we made it past 50 entries – so Our Daily Bread Designs will be donating funds to ship TWO boxes to our heroes! THANK YOU ODBD! This month’s challenge is one that the coloring-challenged will love: make a card with a SENTIMENT as the main image on the card! Every first Saturday we’ll be posting the challenge here on the Stars and Stamps blog, and you’ll have all month til just before next challenge starts in January to get your card linked up. ODBD is offering TWO generous $25 gift certificates for prizes, so you’ll want a chance at that! We’ve got some great inspiration designs for you from Our Daily Bread Designs – wow wow wow! 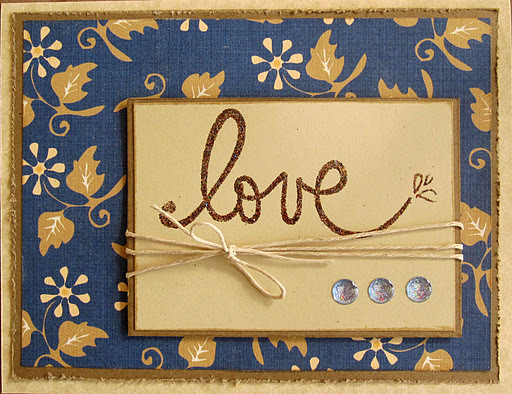 What beautiful ways to use sentiments! Now after seeing these and take a trip to see the love cards from the November challenge, your creativity tank should be filled up and ready to go! Reminder: Dec 10th is the due date for Archway Valentines; and Dec 31 is the last last last date for any valentines at all. Don’t miss out on helping our heroes send their sweetie a note! And let’s be sure to reach 50 entries this month too…..share share share and get all your OWH cardmaking buddies to join in! What a great challenge. We've been away — it is nice to come home and get back to my card making with this challenge. Thanks! That's awesome that we made it to 50! Great inspiration already for the new challenge! Congratulations to Donna and Adele! Glad we made the challenge. Thanks ODBD for the donation! Wow! I was at a crop all day yesterday and just found out I won! Thank you OMDB. And better than that, thank you SO MUCH for your generous shipping contribution to OWH! I'm thrilled to see so many entries already on the December challenge! The ODBD sample cards are lovely! Thank you ODBD – this will be fun to work on. Thanks ODBD! Love the challenges! The first two have rocked! Thanks again!